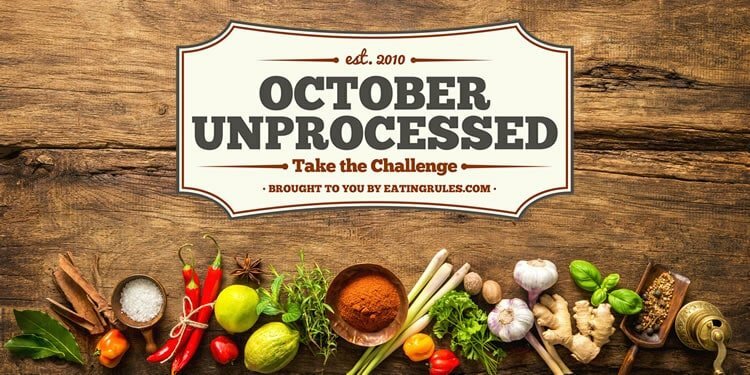 Nearly 1,000 people have now taken the October Unprocessed challenge! If you haven’t taken the pledge yet, please do it today. (If you already eat this way all the time, take the pledge and show your support! And if you think it’s too daunting, how about for just two weeks? Or even a day? Do what you can, and take charge of your health!) … We’ve got a lot of momentum together, and this is turning into something really powerful. Keep it up — and tell your friends! When you start reading the ingredient lists for most packaged foods, you’ll see some patterns emerge. I’ve already discussed a few of these in recent posts: Refined flour shows up a lot, and sugar is in nearly everything (often several times under different names, so it appears lower in the list). Most of these don’t pass the Kitchen Test — but realistically, they’re also fairly trivial ingredients. The “Deliberate Exception Clause” may come into play here: If you think the “pros” of these ingredients outweigh the “cons” (however you define both of those), and want to make a deliberate exception for October, I encourage you to do so…as long as you’re doing it mindfully and in advance (not just because you want that cookie in the moment!). Xanthan Gum has become one of my biggest pet peeves. You couldn’t make it at home, as it comes from a bacteria that’s been fermented on corn syrup and then extracted (good luck with figuring out how to do that!). It’s often added to liquids because it’s good for texture — it acts as an emulsifier, but it also “relaxes” when it’s under a sheer force. 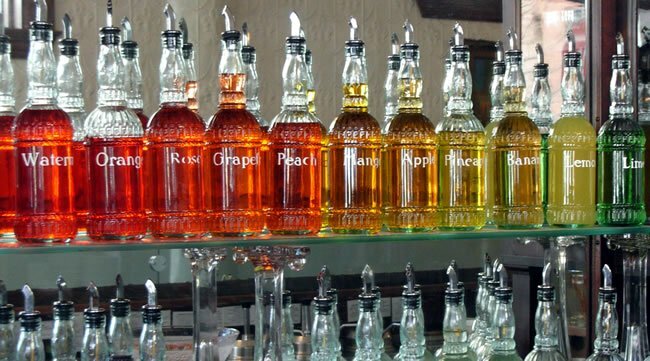 That’s why you’ll find it in salad dressings and sauces — it helps keep the dressing mixed together, but when you squeeze the bottle, it relaxes to let you drizzle the dressing on top. But it seems to have made its way into so many products, that I just want to scream every time I see it on the label. To be fair, Xanthan Gum is not necessarily harmful (though it can give some people gas and bloating), and if you’re gluten-free it can be a helpful ingredient in your baked goods. Guar Gum, on the other hand, is made from guar beans that are dried, hulled, and ground to a fine powder. I’m pretty sure that could be done in a home kitchen. Although it may give you gas too, strictly speaking I think it passes the kitchen test. For more on gums, check out Dr. Jean Layton’s guest post on Xanthan Gum, Guar Gum, and Methyl Cellulose. Okay, this is my other big pet peeve. “Artificial Flavors” obviously don’t pass the kitchen test. But “Natural Flavors” don’t, either! That’s because “Natural Flavors” are likely made with a variety of unnatural chemical processes, too. All that’s really required to earn the “natural” label is that the initial product they start with has to be edible. Now, it’s possible that the “Natural Flavor” is something as benign as lemon zest (some companies may call it “flavor,” so as to protect their recipe). But we have no way of knowing. So we have to assume any “Natural Flavor” is made in a lab, and that it’s no better than the artificial kind. 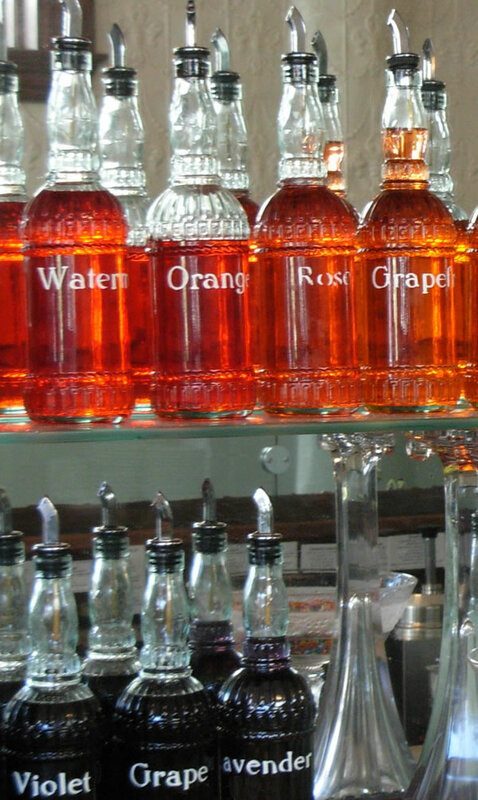 For more on this, check out Erin Coates, RD, LD’s guest post on Natural & Artificial Flavors. 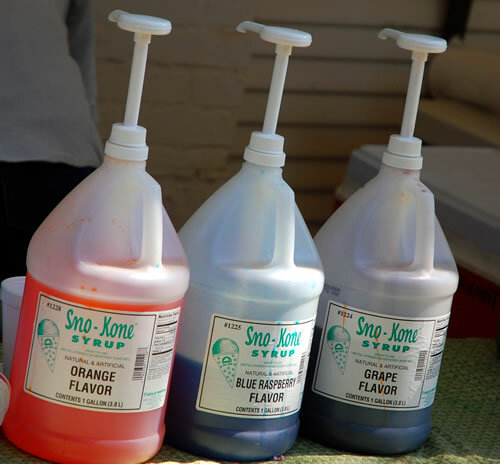 The “Genuine Sno-Kone” paper cups actually say “Pure-Wholesome-Delicious.” Sigh. Also incredibly common in processed foods these days, soy lecithin is something you couldn’t make at home. It’s commonly used as an emulsifier in foods to keep things in suspension. You’ll see it in most commercial chocolate bars, too, since it helps keep the cocoa butter from separating from the cocoa. The Fooducate blog has a good overview, and the Weston A. Price Foundation goes through it in much more detail (though I find W.A.P. to be a bit on the biased side, so do with this what you will). And here’s the Wikipedia page, which describes it as “highly processed”). What concerns me most about lecithin is that it also seems to be in everything. It may be just fine for us, and I don’t mean to be alarmist, but when I see it in nearly every packaged product, I grow wary. Carrageenan is a “linear sulfated polysaccharide” that is extracted from seaweed. It’s used in foods as a gelling or thickening agent. You’ll find it in most store-bought soy milks and nut milks (and a bit more famously in toothpaste). Although it’s been used since about 600 BC in China, modern Carrageenan is usually produced in a way that wouldn’t pass the kitchen test. The Wikipedia page on carrageenan is surprisingly helpful in walking through the various production methods, and it makes for an interesting read. Personally, I’ve realized that carrageenan upsets my stomach, so I’ve been avoiding it anyway. According to my read of Wikipedia, and from previous discussion with readers, you couldn’t really make this at home. For “regular” corn starch, most of the steps you could do at home, but to finally separate everything out, you might need to a hydrocyclone or a centrifuge. 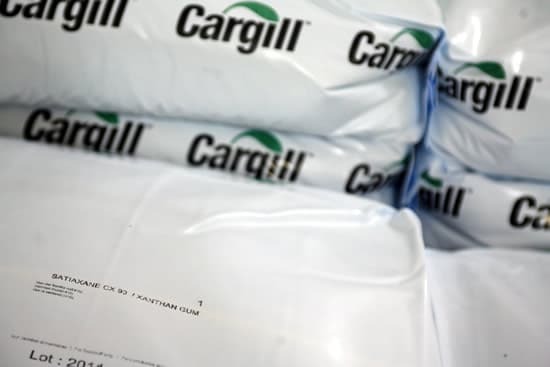 To make matters even more confusing, most corn starch used in food manufacturing is “modified.” And modified starches “are prepared by physically, enzymatically, or chemically treating the native starch.” So it sure seems like corn starch doesn’t really pass the kitchen test, either. People have been using baking soda for hundred(s) of years, and although you might need to be a chemist to create it, it is such a basic ingredient — that doesn’t seem to have a downside — that it seems counter-productive to exclude it. 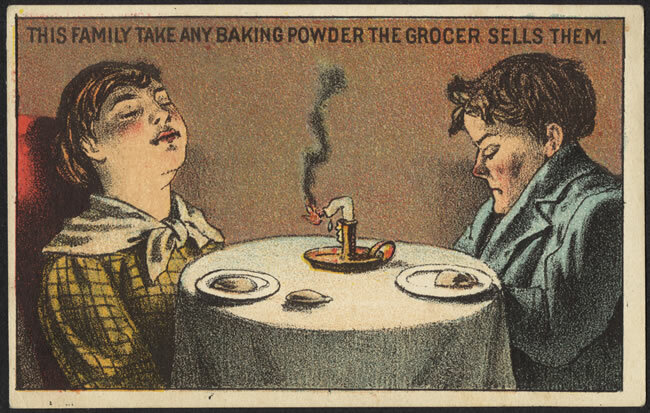 Similarly, baking powder is simply baking soda with an added acid. The pitfall, however, is that many of these add corn starch (usually just to keep it “powdery”). You may want to check out our discussion in the comments section with Tracy, Kirsten, and Xan before making your decision on whether or not to allow these in your diet for October. These are ones that you’re going to have to decide for yourself. I actually keep both Citric Acid and Calcium Chloride in my house, to use when making cheese. Citric Acid has been around a very long time, though the way it’s produced commercially today it wouldn’t pass the kitchen test. Strictly speaking, you could make your own calcium chloride at home with limestone (or chalk) and hydrochloric or muriatic acid (!). Of course, you’re not likely to be doing that, and I daresay that doesn’t pass the “reasonable skill” threshold. Having said that, it’s also just a salt and is not particularly problematic from what I can tell. Personally, I go with the spirit of the challenge on this one rather than the letter. I choose to make both of these a deliberate exception, but only if they’re in foods that I consider healthy and that otherwise pass the kitchen test (in a can of beans or a block of tofu, for example). 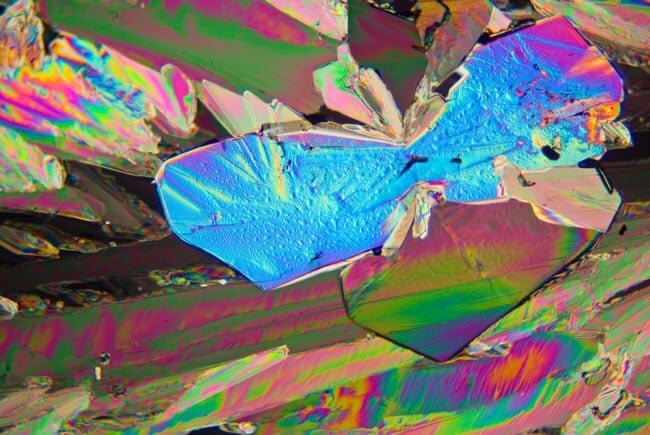 Citric Acid under cross-polarized light, magnified 10x. Neat! Refining lactic acid goes back to 1780, when it was first cultured from sour milk. I think Lactic Acid is probably fine — though it depends on how strict you want to be, and how they actually made it. I just found this tutorial on how to culture it at home (though she also says she doesn’t consume it herself – just uses it in her animal feed and around the barn to control odors). So this is one more where I’ll leave it to you to decide for yourself. With so many ingredients out there, I’m sure I missed a bunch. If you have questions — or want to add (or correct!) anything I’ve said above — please chime in with a comment! What about citric acid? I can’t seem to find a single can of tomatoes without it, even the organic kinds. If you MUST use canned tomatoes, I suggest buying the Muir Glen brand. The use BPA-free lining on their cans. But what is your citric acid derived from? Originally it came from lemon & other citrus fruits, but most citric acid used in food stuffs here in the US is made from corn (occasionaly from beets or sugar). As someone who is allergic to corn, I have to advoid it unless it states what its made from is safe. There are some canned tomatoes out there without it, but you really have to look. I don’t see any on my shelf right now, but there is one that I can find at my local chain grocery store. We also use freezed dried tomato powder as another alternative that can be citric acid free for me (not all brands). Pomi brand is one that is imported from Italy & I know I can use some of theirs. I purchase Bionature Organic tomatoes at Whole Foods. They products consain only tomatoes on the ingredient list. Also, come either in glass or BPA free cans. Tomatoes are acidic and should NOT be purchased in a can – as the lining of the can seeps through your fruit. Depending on the recipes, I will use an organic marinara (no sugar) sauce or prepare my own tomatoes for my dish. Another ingredient I’m seeing a lot of these days is caramel color. It’s actually what gives Coca Cola it’s unique color, but I see it in other packaged foods too. Soda companies were asked a few months ago to reformulate the caramel color they use to avoid having to carry a cancer warning on their labels. Scary stuff. Citric acid keeps tomatoes fresh. It is Vitamin C.